Vertical gardening is the latest trend in home gardening. No more boring gardening pots or ugly planters. 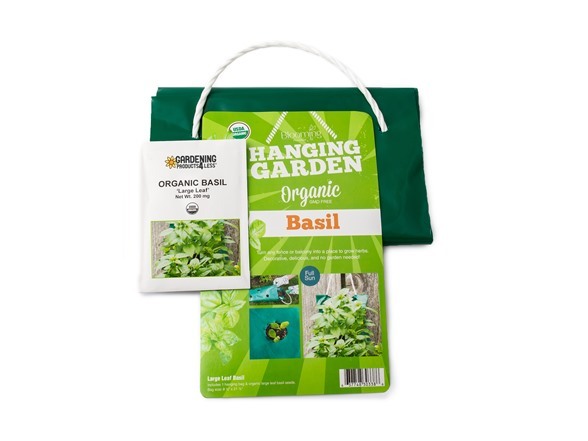 These vertical grow bags allow you to grow organic herbs and fruit at home for half the cost. 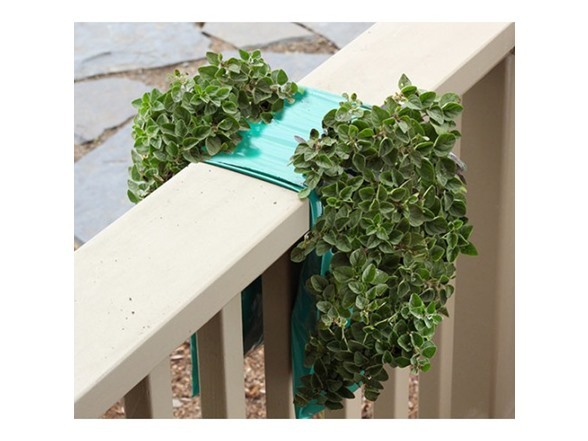 Perfect for urban dwellers who want to grow on their porch, patio, deck or inside their home! Hang them on a wall, over a balcony or off a deck. Each USA-made bountiful kit includes a recyclable and reusable flexible polypropylene planter, nylon rope for hanging and non-GMO seeds. The lush, hanging foliage is decorative throughout the summer. Transform your patio, front porch, fence or railing into a productive garden in just minutes. To plant, just fill the planter with soil, punch out the perforated planting holes and place the seeds inside. Just recycle this outdoor hanging planter at the end of its long and useful lifetime and you're good to go. Our vertical garden pots and planters are made from premium eco-friendly recycled materials to reduce your footprint on the environment. Better yet it is reusable, lightweight, economical and practical. Just fill the 9"x25" hanging poly bag with soil, plant your seeds, and water. Turning any sunny patio, deck fence or wall into a beautiful edible organic garden. Includes 9" x 25" reusable poly bag with nylon rope, packet of seeds, planting guide and case instructions. USDA Organic and GMO free. Grow indoors or outdoors all year long! Ideal for yards large and small, apartments, balconies, patios, gates, terraces, schoolyards and community and rooftop gardens. All herbs and fruit require full sun.